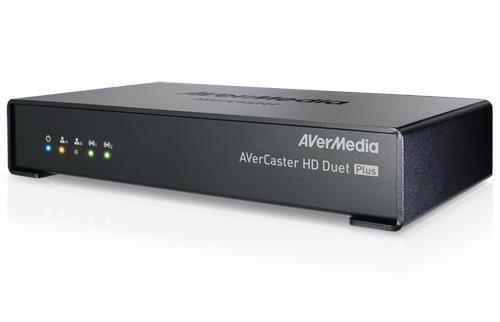 AVerMedia, a global company in the frame capture market and manufacturer of digital multimedia video convergence technology, announces the AVerCaster HD Duet Plus F239+, a dual channel video encoder allowing two independent Full HD video streams to be broadcast or recorded at the same time. The F239+ is a broadcast video encoder that takes one or two HDMI or component video sources up to 1920 x 1080 Full HD resolution and can encode two independent video streams of similar or varying bitrates for broadcast or recording. With its powerful dual H.264 High-Profile codecs, it allows live Full HD Video to be simultaneously broadcast and recorded at higher quality for VoD playback, Multicasting and support for popular streaming services providers as well as Facebook Live allows live video from the F239+ to be broadcast to a virtually unlimited number of viewers. Powerful dual H.264 codecs and Gigabit Ethernet ports allow the F239+ to simultaneously live broadcast two independent video streams at Full HD quality in Duet mode, allowing for instance, multiple angles live streaming. Alternatively in Recording mode, one encoder can be used for streaming video, while the other simultaneously records the same input source for backup or VoD playback. With two independent codecs, bitrates can be adjusted separately for each output to account for network bandwidth or higher quality VoD content. Finally, Splitter mode allows a single stream to be broadcast at different bitrates or to support different protocols and service providers. The F239+ is easily portable and has dual HDMI and component input allowing it to easily receive video from a variety of video sources such as TV set-top boxes, camcorders or electronic white boards. With the H.264 codec and multicasting support, a single F239+ can easily provide single or dual video streaming services to a virtually unlimited number of viewers over an intranet or internet with minimal network bandwidth usage. To broadcast your video to a global audience, The F239+ has strong integration with CDN services including: Facebook Live, Wowza, CDNvideo, YouTube, Twitch, Ustream and more. The F239+ is highly compatible with a range of client devices such as: desktop computers (using VLC or mPlayer), IP set-top boxes, digital whiteboard, and digital signage.